Being a professional dog walker may be your dream come true, but it’s also a risky business. The most obvious risk is your liability if the dog you’re walking bites someone. But many dog walkers don’t consider the significant costs involved with injuries to pets or damages to the property in your care. Dog walking insurance and bonding is a must if you own a dog walking business or you’re an independent contractor earning extra cash on the side. Accidents happen — and insurance protects you, your business, your clients and their pets from a financial nightmare. Does A Dog Walking Service Cover You? As a professional dog walker, you’re responsible for the financial ramifications of working with multiple dogs. These can include expensive medical injury claims, legal costs, vet bills and costs related to property damage and theft. Dog walking insurance doesn’t just cover you. The best policies protect your business, including your employees. It’s also crucial for your professional reputation. Here are some examples of costly accidents that insurance will cover. The dog you’re walking lunges at a pedestrian and bites them on the leg. You’re at a dog park with a client’s dog, who gets in a fight with another dog, causing injuries to both. A dog in your care gets away from you and gets hit by a car. A dog in your care eats something toxic at home or on a walk. You forget to lock your client’s front door, and their home gets burgled. Not all insurance companies offer dog walking policies, but more are entering the arena as professional dog walking continues to grow. The best way to find reliable insurance coverage is to do your research. 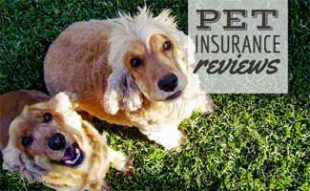 Ask fellow dog walkers what they use and consult with an insurance professional. In addition to dog walking business insurance, you need to look into bonding requirements in your area. Many companies that offer dog walking or pet sitting insurance also provide bonding. First, what is bonding? In general terms, bonding is a type of insurance that protects your customers against any losses caused by the contractor (the walker). Specifically, being bonded as a dog walker provides your clients compensation in the event of theft or property damage. Bonding requirements vary by state. Some states require bonding before you can even register your business or purchase insurance. Even if it’s optional in your state, you should still get bonded. Why? 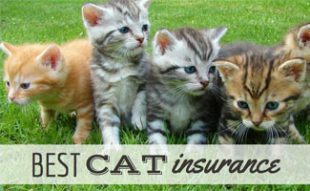 Purchasing a pet sitting bond is an excellent business practice. Being bonded helps assure potential clients that you’re trustworthy and you won’t abuse your access to their home or the well-being of a family member. TIP: If you have employees, you should obtain a fidelity bond to protect you as a business owner. This type of bond covers you against any losses resulting from dishonest acts by your dog walking staff. 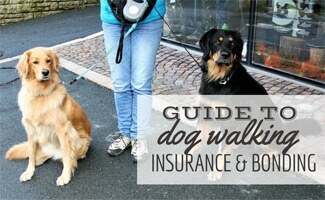 What Does Dog Walking Business Insurance Cover? All dog walking policies include general dog walking liability insurance, which helps you with the cost of legal claims against you from injuries or damages sustained by a third party during your business operations. Features of this coverage can include the following. 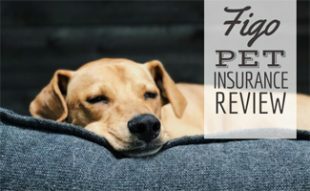 A common feature of general liability insurance, medical coverage reimburses your costs for medical bills associated with people sustaining injuries by a dog in your care. Products/Completed Operations covers your liability for property damage or injuries to a third party once you cease your contracted operations. Animal Bailee Coverage provides coverage due to the loss or destruction of animals in your care, custody and control. This is important if you’re concerned that the dog owners you are working for will hold you liable for any injury to their pet while you are walking it. Veterinarian expense reimbursement coverage protects you for vet expenses — regardless of who’s at fault — for your client’s pet while in your custody up to the policy limit. 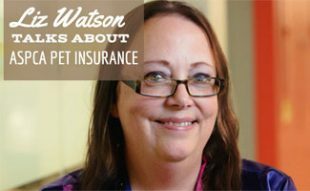 If your client has pet health insurance, you may not need this feature. If you lose your clients’ keys, you’re covered for the cost to replace or re-adjust the locks at your customer’s home. The best insurance policies for dog walkers average anywhere from $300 to $600 per year. You can find a basic dog walking policy for under $150 per year, but keep in mind: cheap insurance can often mean less comprehensive coverage and much lower benefit payouts. Saving money may not be worth it if you don’t cover all of your legal exposures. This brief video by Jump Consulting gives you some excellent tips on how to grow your client base for your dog walking business. Are You Covered If You Join A Dog Walking Service? If you’re not sure you want to start your own dog walking business, you have other options. Existing national companies, like Rover (read our in-depth Rover review) and Wag, have some significant benefits for dog walkers, which include insurance coverage. This way you don’t have to pay for annual premiums out of pocket. The downside to working for an existing service? Some companies don’t let you set your own rates, and they take a percentage of your earnings. Still, it could be worth it if you don’t want all the stress of launching and operating your own business. Be sure to check out our reviews of the best dog walking services and best pet sitting services to learn more about these companies – to work for or to scope out the competition. Have you had claims filed against you as a dog walker? I want to find a good professional dog walker. It makes sense that I would want to find one that has insurance! It would be good to know that anything that my dog does would be covered.